(Newburyport MA) You knew going in that something had to give. 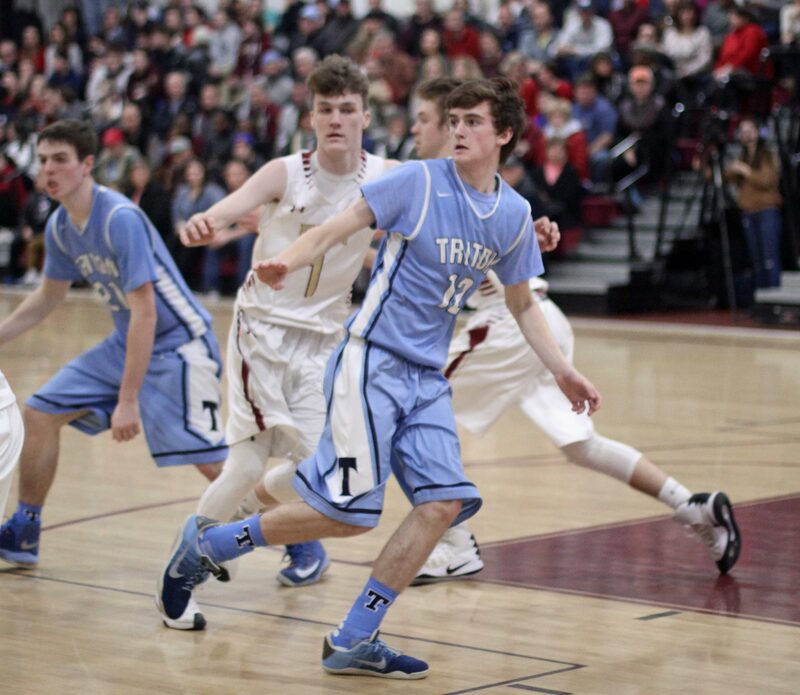 It would either be Triton’s perfect road record (6-0) or Newburyport’s lengthy win streak (eleven). 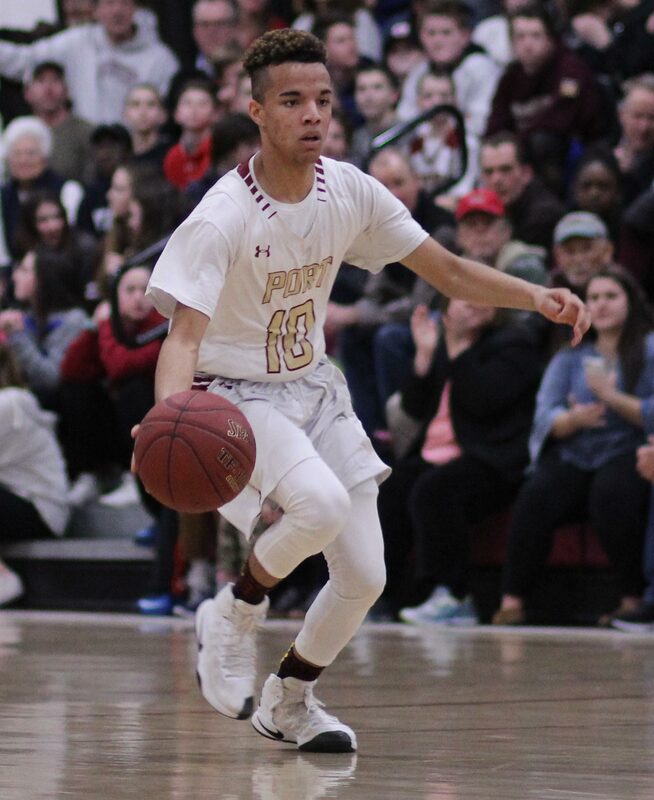 Turned out it was Triton’s road record that took a hit as Newburyport erupted in the second half to down the Vikings, 83-68, on Friday night before a full house. 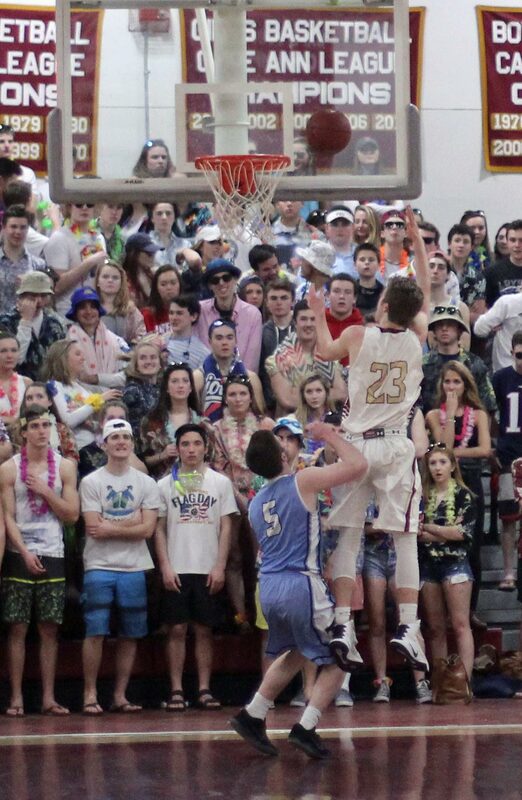 The Newburyport (12-2) winning streak now reaches twelve. They have not lost a game in 2017.
Who saw the amazing Clippers second half coming? Not anyone crowded into the NHS gym in the first half. 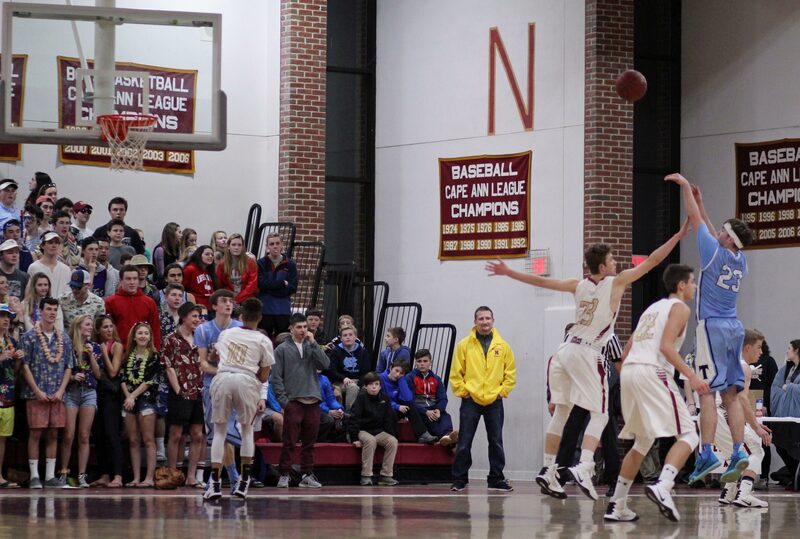 Newburyport averages 65 points per game and they had twenty-six in the first half. A little more offense and the Clippers would reach their game scoring average in the second half. 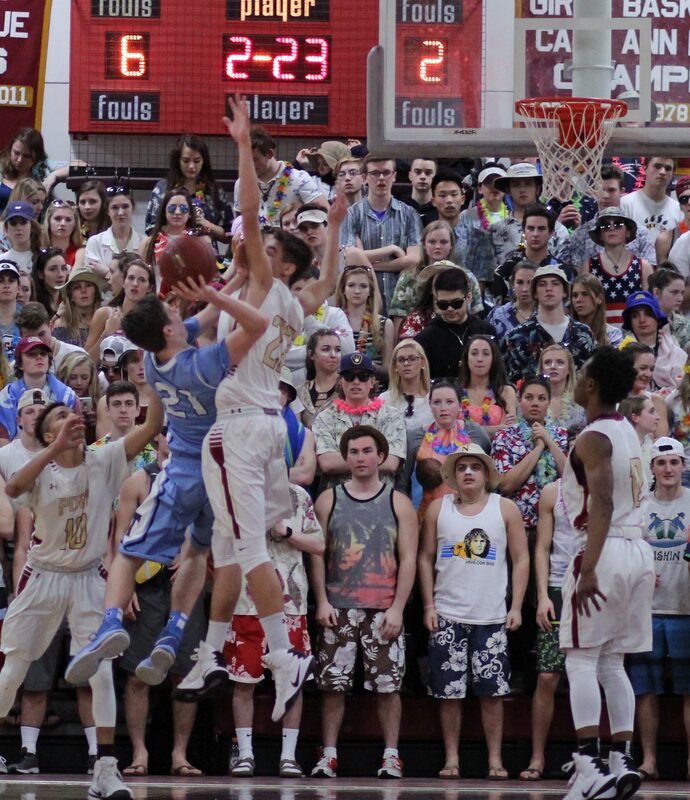 But what we saw was a point-adding barrage by Newburyport. Twenty-nine in the 3rd. Twenty-eight in the 4th. That’s NBA level! It is fair to say that in a normal high school game a team could well have one big quarter. Two quarters like that…..not so likely. For those who haven’t seen Newburyport, and this was my first look, they can score in a hurry. Looking for some long-range offense? The Clippers made thirteen 3’s. Want some layups? The Clippers spread the floor and penetrated off the dribble often. 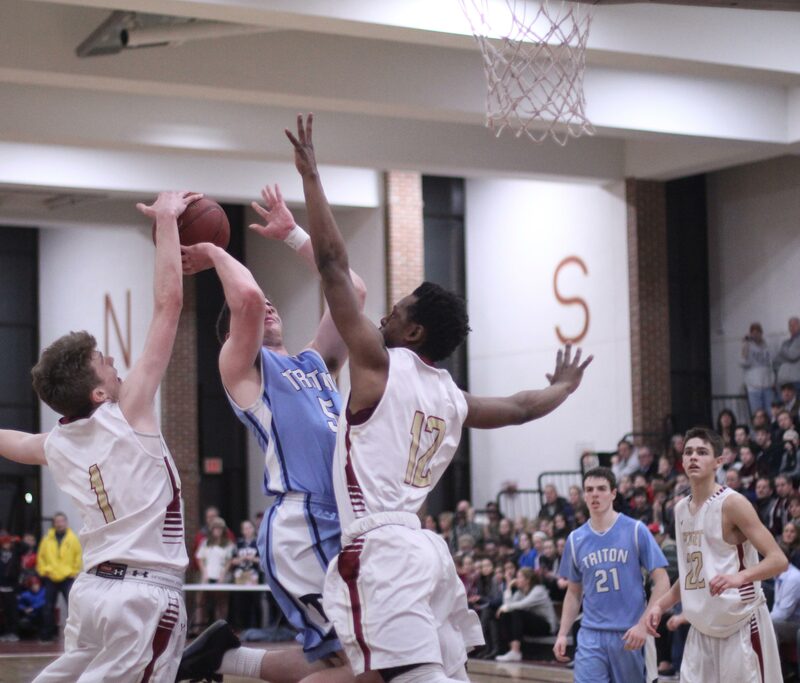 The most noticeable thing about Newburyport, in my opinion, was their ability to break after baskets and long rebounds. 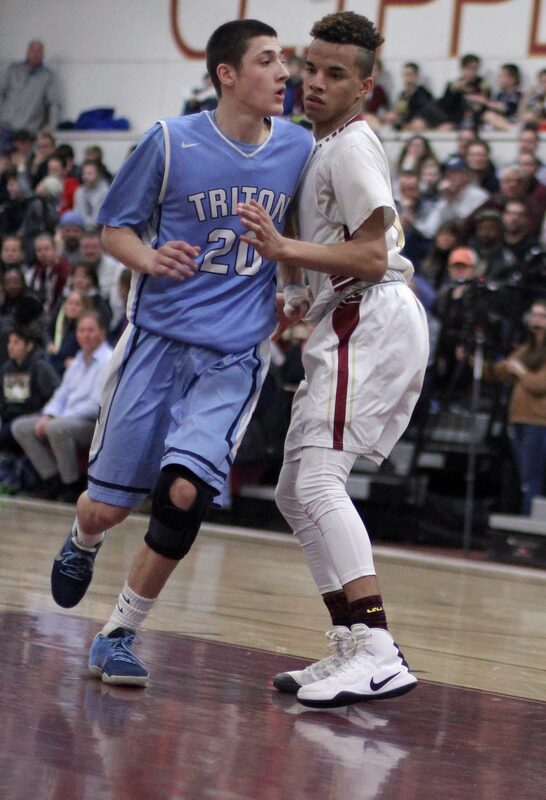 They caught Triton (10-5) frequently this way. At the money end of many of the breakouts was Brendan Powers (22 points). You talk about going wild in a quarter: Brendan had eighteen points in just the third quarter. Triton did not go quietly in this one. 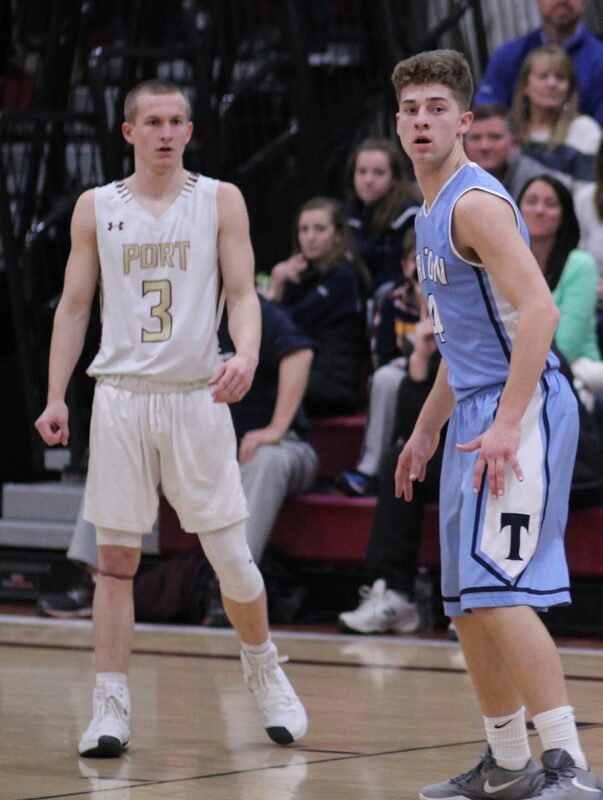 Will Parsons (27 points) and Jack McCarthy (20 points) wouldn’t let it happen. The Vikings were still standing after the Clippers 29-point 3rd quarter because they had nineteen points of their own. 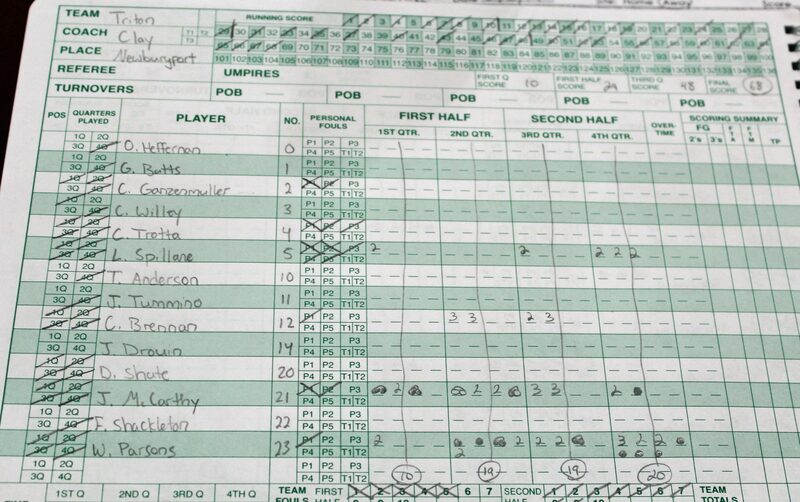 In fact, three minutes into the final quarter, the visitors only trailed by four (60-56) after a Will Parsons triple. The Clippers had put ten unanswered together in the 3rd quarter. With a four-point lead in the final quarter they created a second run of the same size. There was no recovery for the Vikings this time. 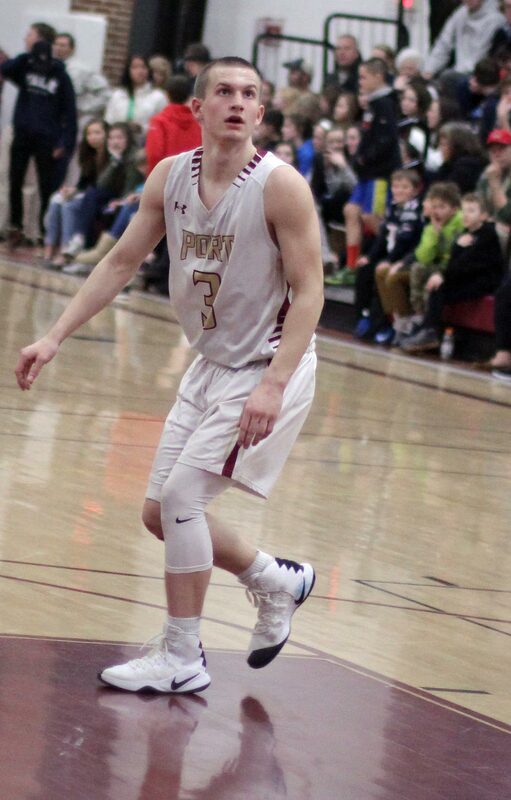 The decisive run of ten points included an arc-three by Casey McLaren (14 points), an old-fashioned three by Nick Rogers (17 points), and layups by Cam MacRae (12 points) and Robbie Shay (16 points). That run took just under two minutes to put together. 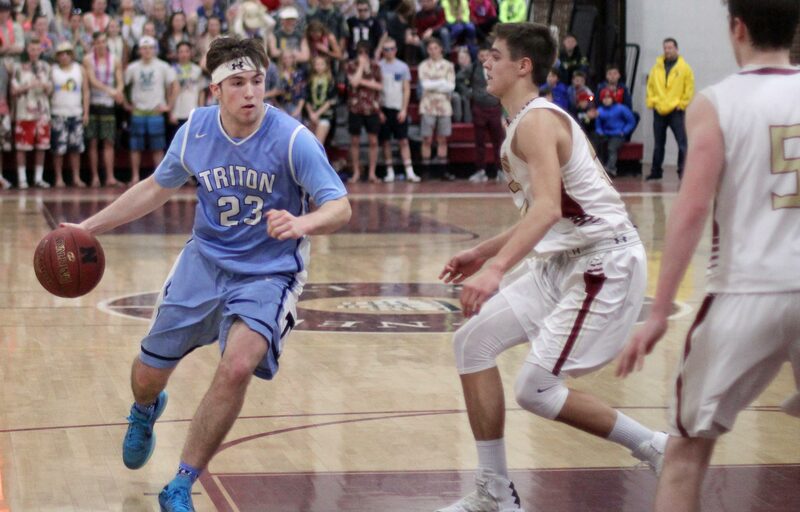 Now down, 70-56, Triton did not have the time or energy to cut into the lead the rest of the way. Terrific crowd. Plenty of support for both teams. I am a fan of chanting as long as it doesn’t get personal. The Triton side was quick to reference football while those on the NHS end referenced the scoreboard. Good clean fun, I thought. 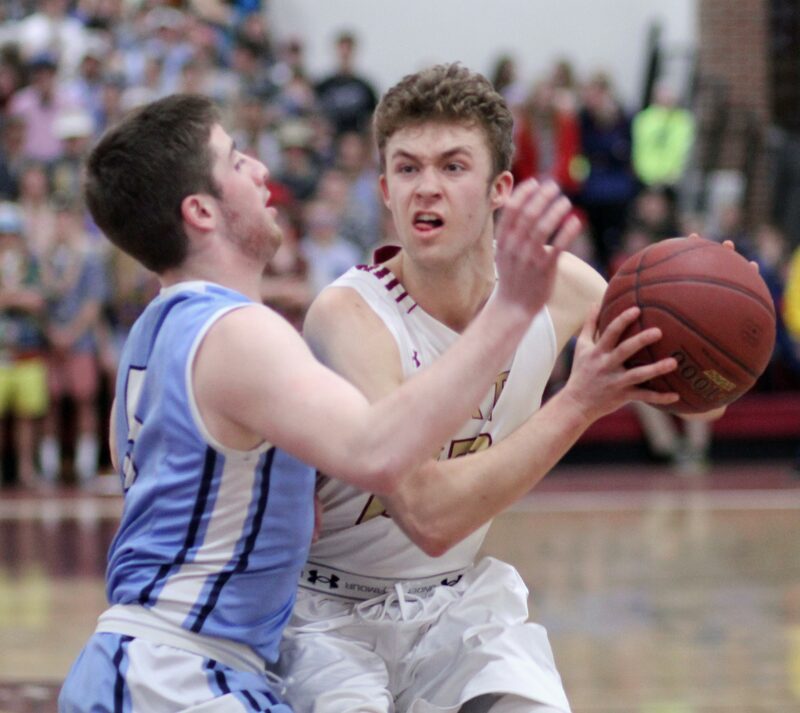 The moment in this game that made me laugh was in the final two minutes and Newburyport in command with a 75-64 spread. There had been a timeout and I’m sure that NHS coach Tom L’Italien stressed taking time off the clock. Ten seconds into the next possession Nick Rogers, who had made a three just thirty seconds earlier, could not resist launching a three from in front of the NHS bench. On this night, Nick hit that shot (his 4th three of the game) and that left Coach L’Italien with his hands on his head wondering why the shot was even taken. 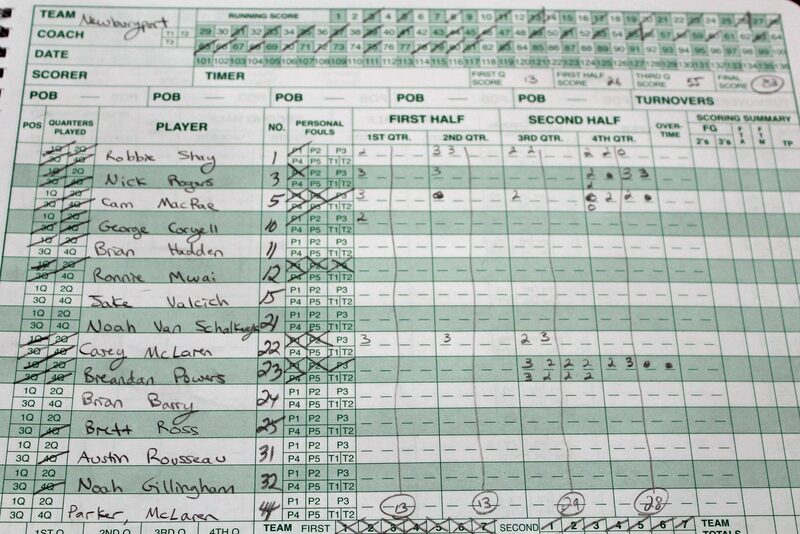 The Clippers lost to Lynnfield, 67-48, at LHS in December. The rematch will be in two weeks. The Pioneers are undefeated in the Cape Ann League. 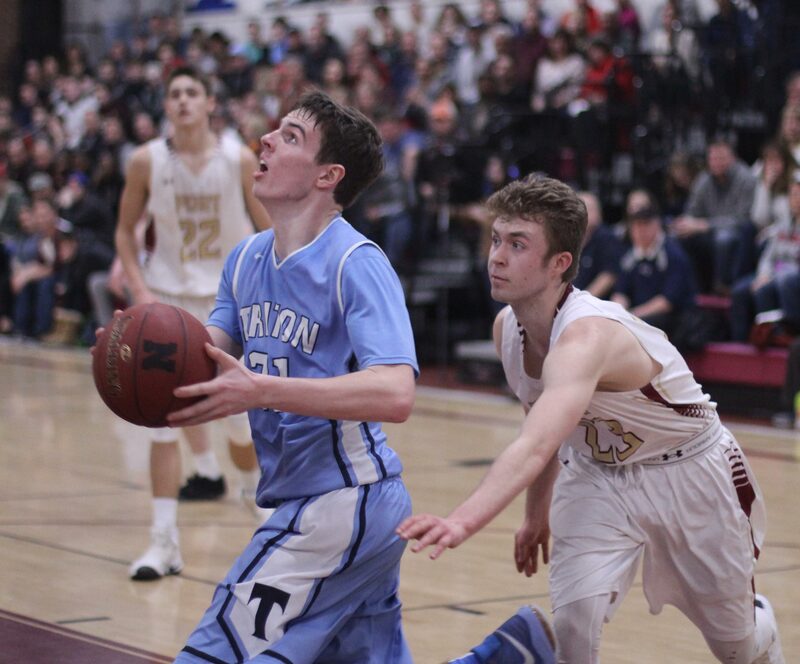 Both Triton and Newburyport are in Division 3 and have qualified for the post-season tournament. 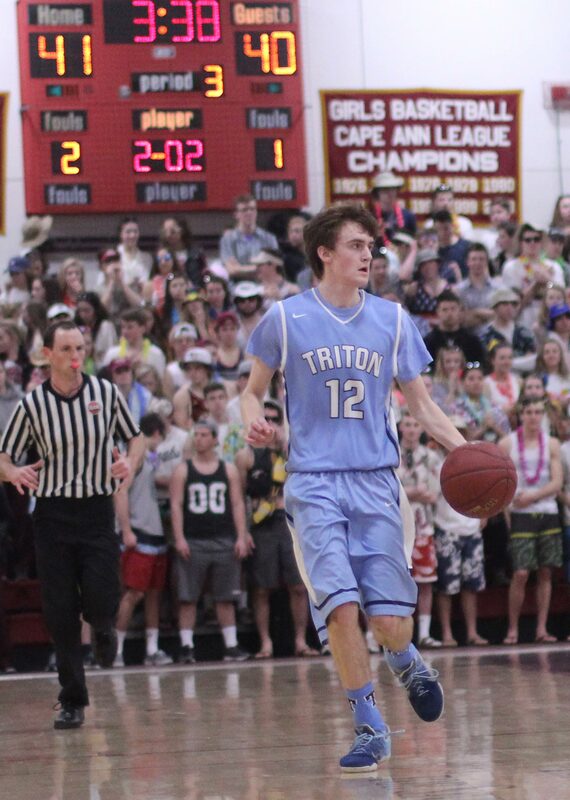 Colin Brennan (11 points) and Liam Spillane (10 points) reached double figures for Triton.